Since that last article, Fujifilm has been very busy. In November of 2013, the company announced a joint partnership in production inkjet development with Heidelberg, and that effort began to show fruits with the recent introduction of the B1 format Heidelberg Primefire 106. 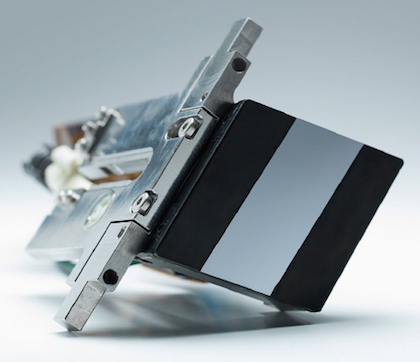 While Fujifilm was very early — perhaps too early — to market in sheetfed production inkjet, that experience enabled a better understanding of what the market wanted and how to best deliver a great solution for it. With that new understanding, Fujifilm did a soft release of the new J Press 720S in November of 2014 and has been busy building market awareness and customer acceptance throughout 2015. Add to that a technology demonstration to be highlighted at drupa 2016, and you can see they are on a mission to gain a significant position in the inkjet marketplace. If you have seen the impressive photographic quality print output from the J Press 720S, or the Heidelberg Primefire 106, it can primarily be attributed to the Fujifilm Dimatix SAMBATMG3L printheads. If you haven’t, you should. In conjunction with the J Press 720S B2 format sheetfed production inkjet press release, Fujifilm did a fork lift upgrade of all of the installed J Press 720’s in the field. This new model has apparently taken the market by storm. Since the introduction of the J Press 720S about 12 months ago, Fujifilm has installed more than 70 units, and the orders are still coming in.